I read this article and found it very interesting, thought it might be something for you. 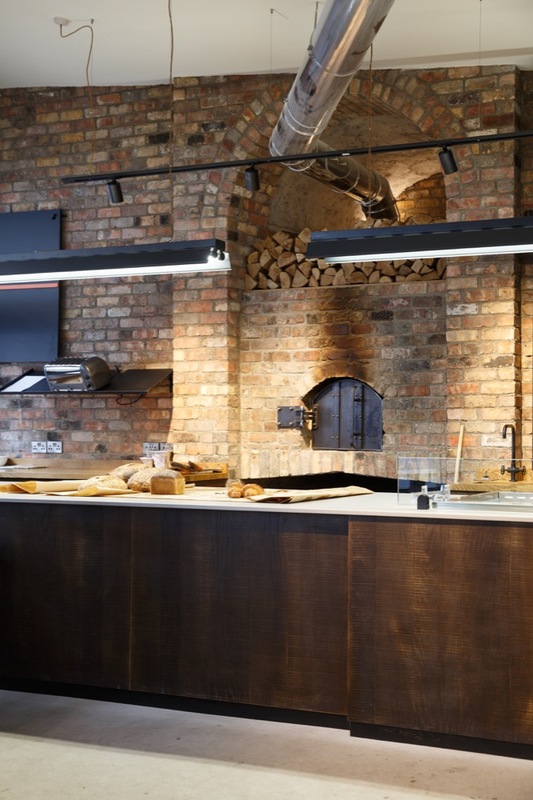 The article is called Gastro: Bread 41 and is located at https://www.totallydublin.ie/food-drink/restaurants/gastro-bread-41/. Here’s the trouble with communal tables in cafés – they are positively perilous for those who are susceptible to food envy. In Bread 41, food envy may as well be on the menu, or at least disclaimed in the fine print. If you love bread – and we’re talking real bread here – clear your diary and plan in some trips to Dublin’s newest bakery and café. You’re going to need multiple trips to get through everything on the menu. Bread 41 opened in early September on a corner of Pearse Street just across the road from The Science Gallery. It’s the café and front-facing sister of Bread Nation, the organic bakery owned by head baker and real bread advocate Eoin Cluskey. After training in Ballymaloe Cookery School, he worked alongside Patrick Ryan at Firehouse Bakery in Delgany working as head baker there before launching Bread Nation in May 2018. Cluskey has been baking with his team on this site since then, supplying loaves to 3fe, Fia Cafe, Two Pups Coffee Ltd and lots more around the city, and Bread 41 is Cluskey’s opportunity to bring his bread directly to the people. The interior is industrial minimalism and an extensive counter draws you in as you walk through the door, but it’s the goods on the counter that make you want to stay. Granary browns mingle with polenta and thyme loaves, while wholegrain sourdough and Wicklow mountain rye loaves lie in wait for their lucky owners. Buy a loaf to take home for toasting and butter bathing. Croissants (€2.20) are delectably rolled and lined up in a pleasingly symmetrical row. Cinnamon rolls (€2.75), cruffins (€3.20), cream puffs (€2.25) and homemade sausage rolls (€4.95) all call from this shameless display of good taste and great baking. Those pastries come fresh out of the oven at 7am, 11am and 1pm every day. 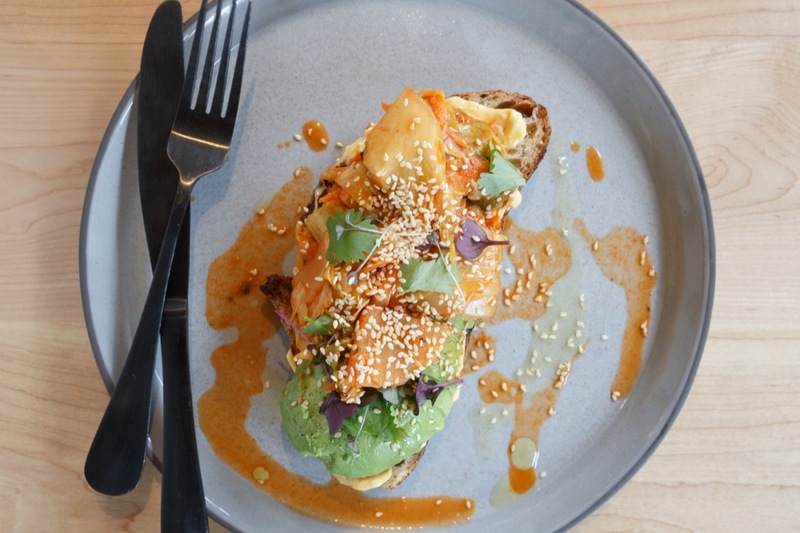 Cluskey has been working closely with Head Chef Chris McCann – formerly of Two Pups Café – to perfect the menu and to pair the right bread with the right sandwich. There are daily meat (€6.75) and vegetable sandwiches (€6.45), the fillings and bread of which will change regularly. The black pudding dish is on the fermented potato bread which is a speciality of Cluskey’s and it’s served with their own black pudding and date brown sauce (€8.50). It’s this dish that’s likely to cause some considerable damage in the food envy stakes. Cluskey uses organic flour, sourced in Ireland and the UK, for his slow fermented breads. They’ve installed a mill in the bakery and are hoping to begin milling organic flour on site soon. The quantities needed to keep up with the demand of their bakery means they wouldn’t be able to exclusively use flour milled at Bread Nation; the idea is to create a bread of the month using organic flour from their suppliers in Kildare and Monaghan milled on site. Sure, there are some minor hiccups with service – a forgotten coffee, the writing on the menu behind the counter being a little hard to read – but it’s week two of a new business when I visit; these little kinks will be smoothed out once the team have had a chance to catch their breath. This is real bread, done really well, and that is worth shouting about.